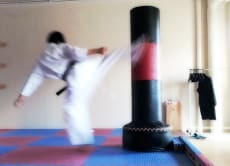 I am a owner of Japanese martial arts Dojo. Age is 42 years old. I had lived in Canada for one year in the past. Is not fluent in English. However, no problem in communication. I think that you can feel closer to Japanese martial arts in life because it is a cozy little Dojo. Practice Japanese Martial Arts Aikido or Karate.